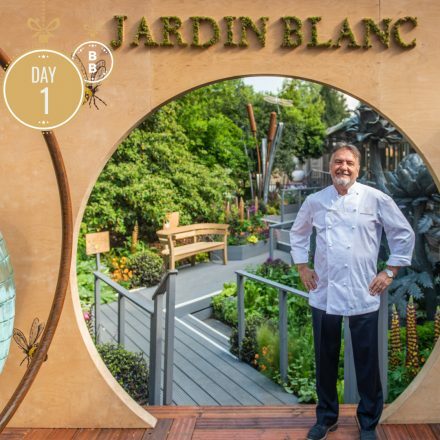 To kick off our Christmas Countdown in true BB style, our first prize is two tickets to Raymond’s ‘Jardin Blanc’ at the RHS Chelsea Flower Show 2019*! Your full ‘Le Jasmine’ VIP experience on Friday May 24th 2019 will include an exquisite Champagne afternoon tea, an open bar including exciting botanical cocktails, canapés and live music in exceptionally beautiful surroundings. This truly unique experience is our star prize, and open to enter for the duration of our Christmas countdown! So for the chance to win, head to our Facebook, Twitter or Instagram pages to enter. *Please read both Jardin Blanc competiton terms & conditions and our general social media competition terms & conditions upon entering this competition.